Although Google suggests social signals do not impact rankings, one can draw correlations between top-performing social content and top performing content on the web with the common denominator being quality content. Content shared on social that receives lots of shares, likes, and comments will likely get similar engagement metrics that lend themselves to Google’s authority signals, and in turn positively impact your rankings. That said, our SEO expert Ramdani recommends social media managers ensure they aren’t creating social media plans with the exclusive intent of improving rankings. Instead, it should be understood that SEO and social media work together as part of an overall marketing plan to boost engagement and improve reach. A solid social media presence, combined with valuable content and community building, work together to contribute to increasing brand awareness, website traffic, and improved social customer service. As the connection between social media and SEO content is key for marketing success, social media managers need to be strategic about the type of content they share. Instead of sharing only new content, analyze the performance of your past work and recognize what is bringing the most traffic to your site. 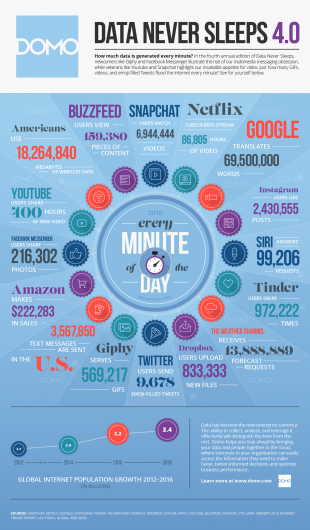 What kind of content is driving the most traffic? What is getting shared the most? What are the most popular topics and themes your audience engages with? These are all questions social media managers need to consider when deciding what content they will focus on sharing through their online channels. As Ramdani says, “Pick the consistently winning horse instead of a beat up car that’s never won.” Create a bank of your best-performing evergreen content that you can rotate in your social media content calendar, and share these assets alongside your newer content. SEO is an incredibly effective way of improving traffic to your site, but it’s not a quick fix. Marketers will often expect to deploy strategies and get immediate results. And when they don’t get these results, they abandon the plan. SEO takes time to pay off, so impatience is one of the biggest roadblocks for marketing managers. One of the main reasons SEO is a long-term strategy rather than a short-term quick fix, is because of the huge volume of content online. As this Domo infographic shows, the amount of data being shared online every minute is staggering. You aren’t alone in your industry, and you aren’t the only one pushing out content. Because of this competition, you need to always follow SEO best practices, produce and share quality content, and analyze your results. Influencers and high-traffic sites put in the work to build authority, and search engines recognize this. Positioning your brand as one to trust (both by search engines and customers) doesn’t happen overnight. Marketers need to post quality content on a consistent basis and ensure it’s gaining valuable backlinks to help establish credibility. Once social media managers and marketers recognize the time and effort involved in seeing their SEO efforts pay off, they can concentrate on driving their strategy forward. SEO has greatly evolved over the last 10 years, but not all marketers have been able to keep up. “Many marketers in 2016 don’t get it. They haven’t kept up, or worse, they’re reluctant to running SEO campaigns because they’re attached to tactics of the past,” Ramdani explains. An example of this is the practice of keyword stuffing. A very popular practice at the beginning of SEO’s evolution, keyword stuffing is when content on a web page is “stuffed” or loaded with keywords. Not only does it look ridiculous and lower the credibility of your content, it can get you hit with a manual or algorithmic suspension, which is hard to work back from. Marketers need to be aware of updates to search engine algorithms such as Panda (which cracks down on keyword stuffing), Penguin (which penalizes low-quality links), and Hummingbird (which enables a deeper understanding of search intent). With search results more personalized than ever, marketers need to make the connections between their content and the target audience. Google modifies their rankings to choose the most relevant content based on an individual’s search history, which means that authority, keyword matching, freshness, and engagement become even more important. This fast-changing technology means marketers and social media managers need to stay on top of developments and adjust their content creation and promotion strategy accordingly.